When Ron Johnson finalized his decision to move from leading Apple’s retail strategy to become the Chief Executive Officer of J.C. Penney, the executive jumped in his car to drive to Steve Jobs’ home and notify the Apple co-founder in his living room of the decision. During his short car ride to Jobs’ Palo Alto home in the summer of 2011, Johnson likely thought about how he would explain his choice. But what Johnson likely did not imagine is that it would take nearly three years for Apple to find a true new leader for the stores the duo created. In one of current Apple CEO Tim Cook’s first major missteps, the long-time operations maestro hired John Browett, formerly of Dixons, to run retail. 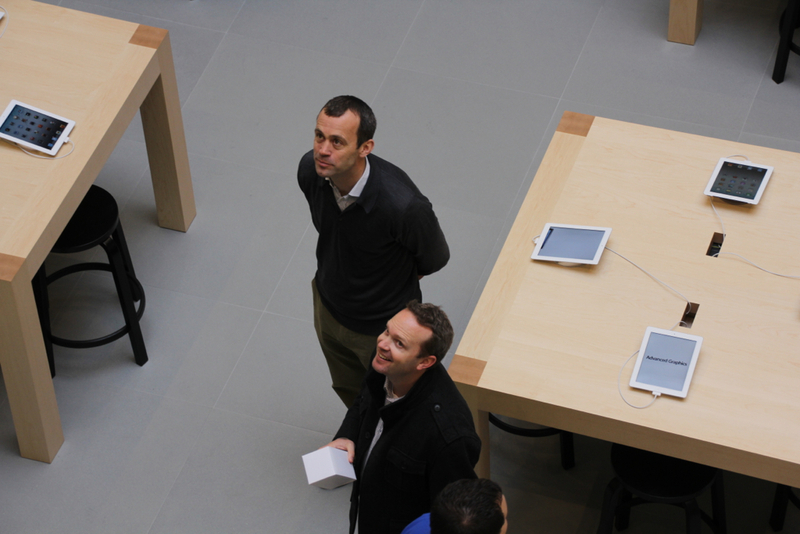 Browett’s hire was immediately met with skepticism from Apple customers and retail employees, but Cook defended the hire and called the British executive the “best [choice] by far” to run Apple’s retail division. In the six months that he ran retail, Browett cut back on employee hours, initiated layoffs, and fell out culturally with the rest of the Apple executive team. Alongside Scott Forstall, Browett was ejected from the Cupertino-based company, leaving Tim Cook and head-hunting firm Egon Zehnder, again, with the tall task of finding a suitable replacement for Ron Johnson. As the man who ran Dixons, the United Kingdom equivalent to Best Buy, Browett was in many ways built in the image of Johnson. Johnson ran Apple Retail for nearly a decade, and before that he was an executive at both Target and Mervyns. But unlike Browett, Johnson fit into Apple’s culture and was close with both Jobs and Cook throughout his tenure. Since Jobs and Johnson pioneered the innovative chain of retail outlets, the stores have mostly functioned the same. 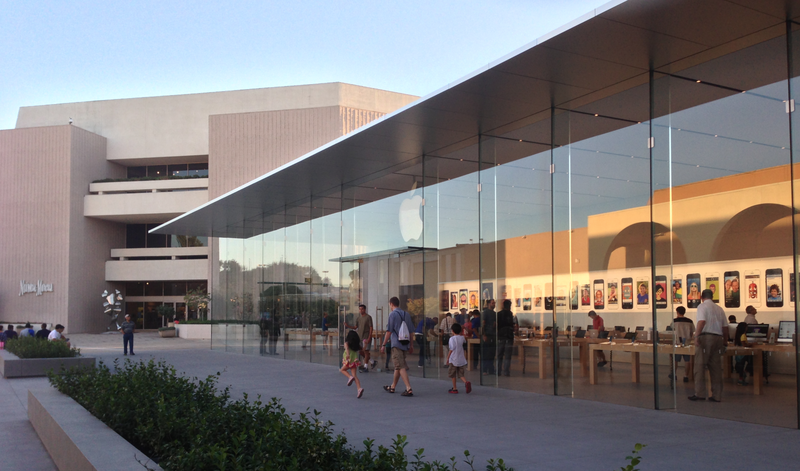 While both Apple’s revenue and profits grew with assistance from these retail stores, many industry watchers, Apple executives, and rank-and-file Apple retail employees started to believe that the company’s retail stores had begun to stagnate in look, feel, and features. If Apple wanted to continue to lead the way in technology product retailing, the company needed to seek a new direction. And Cook seems to have agreed. Last year, finally reaching the end of a Steve Jobs-created roadmap for the future, the ousting of multiple top executives, several new hires, and the re-architecting of marketing strategies, Cook had the unique opportunity to select a new person to run Apple retail in their own image with absolutely no strings attached to retail outlet behemoths. After a several month search, he picked Angela Ahrendts, who was serving as CEO of London-based Burberry at the time. Ahrendts’ résumé is certainly impressive, and so is the growth of Burberry product sales under her leadership. But does she have the ability to take Apple retail into the future? Her colleagues throughout Apple seem to believe so. Three weeks into her tenure at Apple, Ahrendts is already reshaping the retail executive team, visiting stores, and holding calls with store managers. Most importantly, she has outlined a three-part vision for the future of Apple retail: an emphasis on China, mobile payments, and completely revamping the end-to-end Apple Store sales experience. Since arriving at Apple at the start of May 2014, Ahrendts has been learning the ropes of what it means to be an Apple executive. Each new Apple employee in a leadership position becomes a part of a learning experience to mold the person into Apple’s culture. Simultaneously, Ahrendts has been moving to reshape Apple’s retail leadership team to fit how she would like to run the critical online and retail store divisions. Post-John Browett, Apple’s retail team under Tim Cook was primarily run by a trio of executives: Steve Cano (Vice President of Retail Stores), Bob Bridger (Vice President of Apple Retail Real Estate), and Jim Bean (former Vice President of Finance turned Vice President of Apple Retail Operations). Cano, once discussed as a possible successor to both Johnson and Browett, ran all retail stores worldwide; Bridger sought out and built new stores; and Bean ran retail operations and finances. 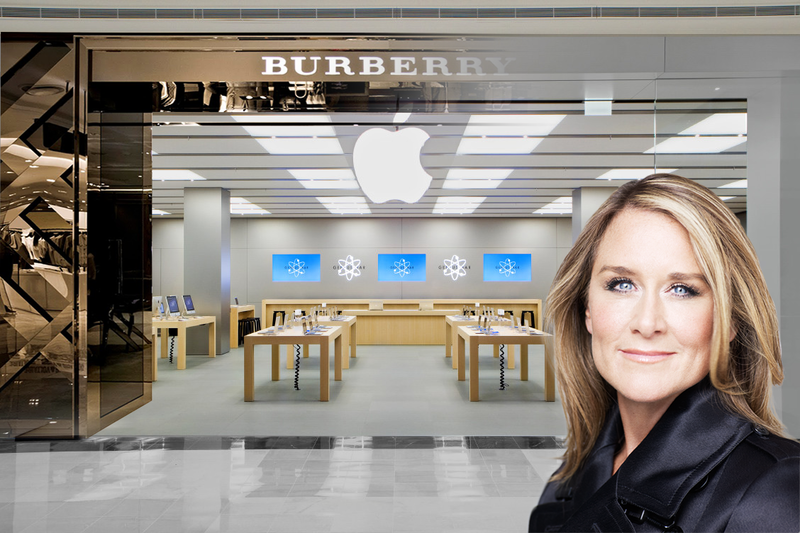 But Ahrendts, sources say, is moving to re-architect the top retail brass to better fit with her vision for the future of Apple retail. While Bridger and Bean will remain in their former leadership positions, Cano has moved away from retail and will fill a new international sales role. Additionally, Ahrendts has given broader responsibilities to the head of Apple’s European Retail division, Wendy Beckman, and the head of China Retail, Denny Tuza. Unlike with previous retail leaders, Ahrendts also oversees online retail. Earlier this year, Apple appointed former Delta executive Bob Kupbens to run online stores, and Ahrendts is said to have aspirations for more closely connecting the online and brick-and-mortar Apple retail experiences. Kupbens is known in the e-commerce industry for dramatically improving Delta’s Web customer service so he is likely a perfect compliment to Ahrendts and her knowledge in the physical retail space. According to Apple employees with whom Ahrendts has shared her vision for the future of Apple retail, further growth in China is one of three critical pieces on which Ahrendts would like to focus. Having the head of China retail work with Ahrendts directly will assist her with this goal. Ahrendts is said to believe that the tastes of Chinese consumers are critical across the globe, not only in China, and Apple needs to focus on making its stores and retail marketing initiatives friendly to that growing sector of the world. 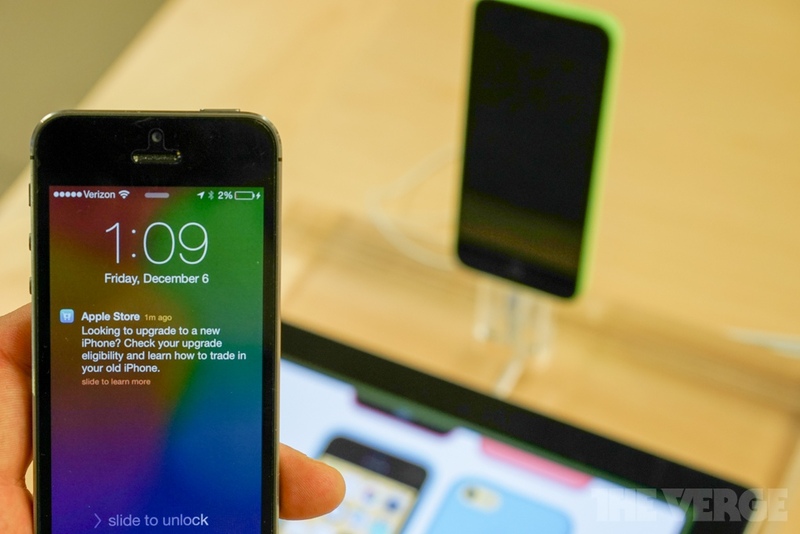 Apple currently has ten stores in China and plans to reach a store count of thirty in the region by 2016. Employees from an Apple Store in the Los Angeles area recount being so excited about Ahrendts beginning work at Apple this month that their store manager emailed Ahrendts a photo of the store’s employees, and Ahrendts promptly replied with excitement about her new role. Employees at various Apple Stores say that they are looking forward to receiving direct communications from Ahrendts regarding her plans for Apple retail, something that Browett did not exactly do. Like Cook and other Apple executives, Ahrendts is said to be passionate about her Alma Mater, and employees recount a conversation between Ahrendts and an Apple Retail Store manager, who like Ahrendts, attended Ball State University for undergraduate education. For Browett, Apple retail was more business than culture, and this was demonstrated through his bold business tactics that contrasted with the former Apple way of running the retail group. Browett even later admitted that while he is a competent businessman, he did not fit in with the Apple culture. 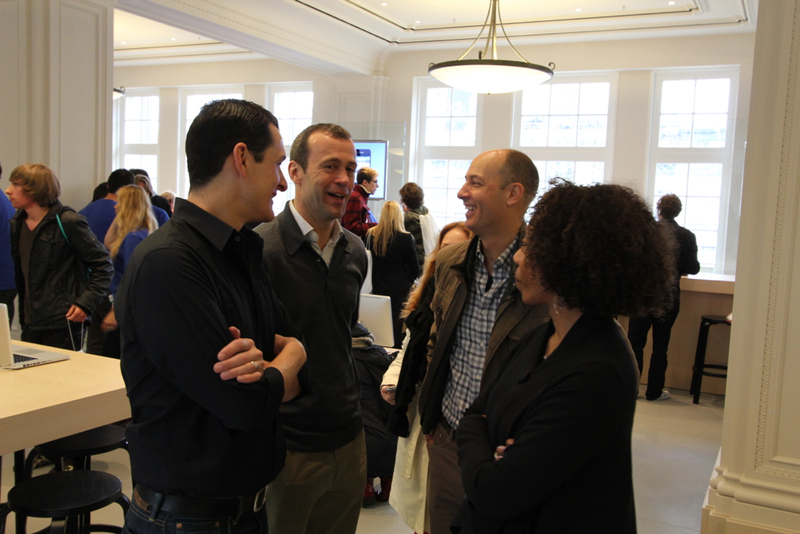 In addition to friendly interactions with employees and customers, Ahrendts’ recent visits to Apple retail stores gave her the opportunity to learn more about how the company’s retail arm functions. Sources say that veteran Apple retail executives walked Ahrendts through critical aspects of the retail stores such as the main sales floor, accessory walls, and the back of store areas where repairs are conducted. Ahrendts is said to especially be interested in improving Apple Store over-the-phone service, Personal Setup, and the iPhone trade-in program. She is also said to be intrigued by the Apple Store’s iBeacon location-tracking features and interactions with mobile devices. Indeed, the second critical area that Ahrendts wants to focus on in taking Apple retail into the future is mobile payments. As Senior Vice President Eddy Cue and former online store chief Jennifer Bailey assemble a team to build a mobile payments service for the iPhone, Ahrendts and new online stores VP Kupbens are seeking to improve mobile payments in Apple’s retail stores and mobile apps for both the online and in-person purchases. Ahrendts is said to be eyeing a major focus on blurring the lines between Apple’s online and physical stores in order to improve the overall experience for Apple customers. Ahrendts’ third critical focus for taking retail into the future is a planned revamp of the end-to-end Apple Store sales experience. From the point in which a customer finds the product he or she wants to purchase, to how they discuss the product with Apple Store employees, to how they pay for the product, Ahrendts would like to redesign the complete experience. Of course, Ahrendts’ job is not to bring Burberry to Apple Retail, but to improve Apple’s stores for the next decade—a period in which Apple will dive into wearable devices, new fashion-oriented products, and mobile services. In conversations with Apple employees, Ahrendts noted that she has always been inspired by Apple, and particularly by the late Steve Jobs. Ahrendts even credited some of Burberry’s success to the fashion retailer’s interactions with Apple. The two companies partnered last year to film Burberry’s London fashion show with the iPhone 5s, and select Burberry stores have been outfitted with iPads as tools for customers to view more information about products. “She believes in enriching the lives of others and she is wicked smart,” Cook added. While Browett did not even last long enough at Apple to oversee a single holiday quarter, employees believe that Ahrendts will have success at Apple. Ahrendts’ clear vision for the future of retail, cultural fit, and amicability with employees, and most importantly, her support, trust, and encouragement from employees, lead retail executives and store workers alike to believe that she will be able to successfully move Apple Retail past the legacy experience built by Steve Jobs and Ron Johnson (and the shadow of John Browett) and bring it into the future.